The tango of courtship continues as the pleasant feeling of simply wanting him around you turns into sizzling need. Forget coy smiles and shy conversations… now is the time to vamp up your allure and intensify the attraction. Now is the time for pure seduction… with Infinite Seduction For Him & Her Eau de Toilettes. Nothing heightens the senses like lasting whiffs of captivating scents. Specially designed to ignite the undeniable attraction between man and woman, the Infinite Seduction complimenting fragrances acts like a catalyst that releases inhibitions and ignite the passion for seduction. Infinite Seduction For Her: a seductive fragrance that kicks off with provocative black pepper and bergamot, blooms with gardenia petals and lingers with leather vanilla accord to stimulate his senses. 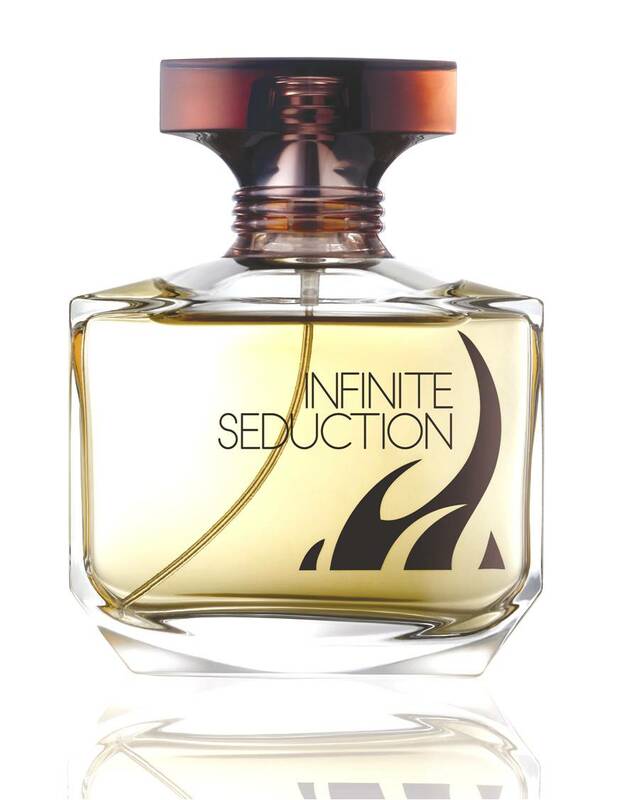 Infinite Seduction For Him: the hot heat temptation that attracts with its aromatic blend of cardamom, clementine, violet and leather vanilla accord to amplify her desire for the man of her dreams.